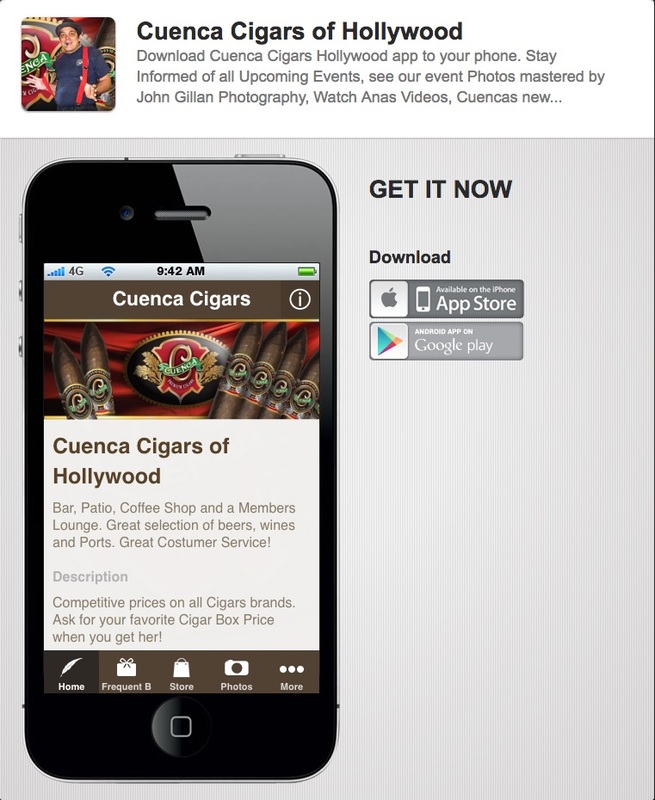 Download Cuenca Cigars Hollywood app to your phone. Stay Informed of all Upcoming Events, see our event Photos mastered by John Gillan Photography, Watch Anas Videos, Cuencas new Cigars additions and receive notification upon new and hot items arrival. See it first.